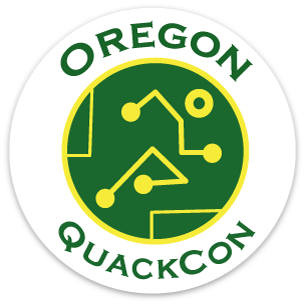 QuackCon is focusing specifically on the theme of sports/tech and participants will be encouraged to build a hack that focuses on 1) athletic enhancement; and/or, 2) fan/audience engagement. - You must submit your business model and any relavent files. 0:No elements of design. 1:Thrown Together. 2:Superfluous/Cumbersome design. 3:Practical design. 4:Commercially Viable. 5:Innovative design. 0:Nothing works. 1:Missing core functionality. 2:Missing non-essential functionality. 3:Everything work as stated. 4:Execution meets the experience of the participants. 5:Execution exceeds the level of experience. 0:Blatant plagiarism. 1:Recreation of preexisting product. 2:Some originality/Heavily influenced by preexisting products. 3:Partially influenced by preexisting products. 4:Original/Uniqueness of product. 5:Revolutionary/Product will further the field. 0:No use of any technology. 1:Little integration of technology. 2:The technology is important but not necessary for functionality. 3:The technology is central to the product. 4:The technology is innovated to solve the specific problem. 5:‘wow’ factor. 0:No presentation. 1:Poor communication of solution to problem. 2:Clear communication of solution. 3:Professional pitch of given prototype with business and PowerPoint. 4:High potential for investment. 5:Judge takes out hard cash and invests on the spot. 0:No participation. 1:Individual project. 2:Singular representation of group. 3:Two types of representation in a group. 4:Three types of representation in a group. 5:Three types of representation in a group + outside perspective .